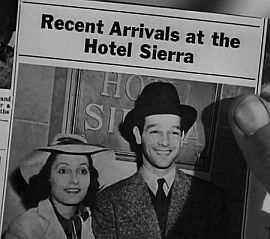 Sparks fly at the Hotel Sierra in Reno, Nevada, when Mary Whitman arrives to establish the necessary six week residency, so she can then file for divorce from husband Curtis, and meets Jeanne Bentley, who claims that she will be the next Mrs. Whitman. When Jeanne taunts the defenseless Mary and insults her former suitor, Wally Burke, Mrs. Russell, the owner of the hotel, orders her to leave. Before she can finish packing her things, however, Jeanne is murdered, and Mary Whitman is accused of the crime. 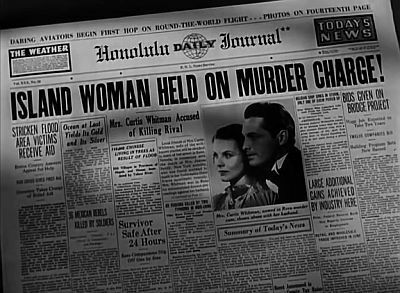 In Honolulu, Mary's arrest prompts her husband, Curtis, to seek the aid of their old friend, Charlie Chan. 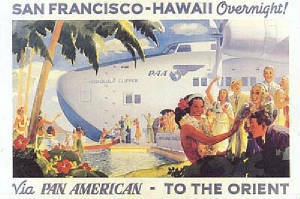 Without hesitation, Chan agrees, and the two leave for the mainland aboard the Clipper airplane. Chan accompanies Curtis Whitman to Reno, where he meets Sheriff "Tombstone" Fletcher, a bumbling law man who has been investigating the case, and who is convinced that Mary Whitman is guilty of the murder. After winning Mary's release from jail on the grounds of lack of evidence, Chan visits the room where the murder took place, where he finds Dr. Ainsley. Ainsley claims that he is looking for the money that Jeanne had won on the night of her murder. He also suggests that it was Wally Burke who killed Jeanne Bently for her winnings. A search of the room by Chan and number two son Jimmy reveals a scrapbook belonging to Jeanne with the pages from the years 1935 and 1936 missing. Noting the way that a recent article had been neatly trimmed, Chan surmises that, since no murder weapon had been found, the same pair of long scissors may have been used to murder Jeanne. Next, the detective notes dried mud on the victim's boots. An analysis of the boots reveals traces of copper and a clay that can only be found in a certain place - an abandoned mine that is located outside of town. That night, Chan visits the mine and finds an engineering kit that belongs to George Bently, the dead woman's husband. Bently jumps Chan in the dark, and after a brief scuffle, Bently escapes. However, he is later captured. Sheriff Fletcher accuses him of murder, but Chan remains unconvinced of his guilt. Later, Chan notices an acid burn on the sleeve of the dress that Mary had worn on the night that Jeanne Bentley was killed. He also finds a similar burn on the carpet in Jeanne's room, near the spot where she had been found dead. Chan traces the acid to Dr. Ainsley, the case against whom intensifies when Police Chief King discovers that Jeanne had written very sizable checks to Ainsley. King reveals that the missing scrapbook pages pertain to Jeanne's previous marriage to Mrs. Russell's late husband, whose death had been attended by Dr. Ainsley. Before Mrs. Russell can be questioned, she is found strangled and unconscious. The doctor who is attending her is Dr. Ainsley, who is about to inject her with a hypodermic needle. Immediately mindful of the great danger that she is in, Chan quickly enters Mrs. Russell's room and stops the doctor as Jimmy grabs the syringe, which is soon found to contain a deadly poison. Chan then assembles all of the suspects and announces that Jeanne had been paying Ainsley to keep quiet about the fact the she had murdered Russell. Continuing, the detective states that he had found the missing money in Ainsley's room, but before he can finish his explanation, Vivian Wells, the hotel's social director, who is in love with Dr. Ainsley, protests his innocence. It is revealed by Vivian that Mrs. Russell had gone into Jeanne's room at about the time of the murder. 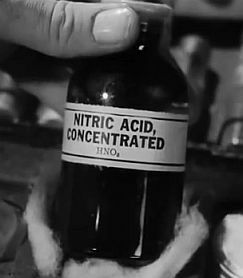 Mrs. Russell admits that she had gone there with the intention of disfiguring Jeanne with nitric acid because of what she was doing to Mary Whitman. She states that she didn't want Jeanne to ruin Mary's life as hers had been ruined by the former. Continuing, she says that during a struggle, the acid had spilled, compelling Mrs. Russell to flee. Chan, with the help of Jimmy, traps Vivian into exposing an acid burn on her arm, thus proving that she had murdered Jeanne Bently during a struggle while attempting to disfigure her with acid. Confessing to having killed Jeanne, Vivian explains that it was an accident, and that she had not intended to harm her. She had entered Jeanne's room in a fit of jeolosy, thinking that she had been seeing Ainsley behind her back. Vivian explains that Jeanne, who was drunk and violent, had attacked her and that she had stabbed her with the scissors in self-defence. As Vivian is arrested, Chan states that a jury will have to decide her fate. Dr. Ainsley is also arrested for the attempted murder of Mrs. Russell, as he had feared that she would reveal his connection to Jeanne's murder of her first husband three years earlier. NOTES: The working title of this picture was Death Makes a Decree, as it was based on the story of the same name by Philip Wylie. According to materials contained at the UCLA Theater Arts Library, Paul Perez wrote a version of the screenplay in December 1938, but his name does not appear in the final credits. In the Call Bureau Cast Service lists, Sheriff Fletcher's name was originally Foster. Mrs. Russell was named Alice Williamson, and Choy Wong was named Sung Li. According to reviews in Hollywood Reporter and Motion Picture Herald, at the time that this picture was produced, this was the most expensive production in the Chan series. Words of welcome freeze when friend appears troubled. Man yet to be born who can tell what woman will or will not do. Very difficult to believe ill of those we love. Ancient ancestor once say, "Words cannot cook rice." Tombstones often engraved with words of wisdom. Charming company turn lowly sandwich into rich banquet. If want wild bird to sing, do not put him in cage. When searching for needle in haystack, haystack only sensible location. Sometimes must strike innocent to trap guilty. Praise in any language very sweet. Time and anaylsis will tell. Sometimes tears from woman very happy sign. (Cab driver: "I knew you was the famous detective from the minute I seen you.") Congratulations upon penetrating humble disguise. (Fletcher: "You mean he's [Jimmy] really your son?") Must admit to dubious honor. (Jimmy: "Pop, tell these guys I'm not crazy.") Parent must first convince self of same. (Fletcher: "Heck, I've been through that room so much I could search it with my eyes shut.") Thank you. Will search then, this time, with eyes open. (Jimmy: "Find something important, Pop?") What I do not find is more important. Just in case anybody doubted whether he could carry on as the new Charlie Chan, Sidney Toler makes his work in 'Charlie Chan in Reno' the clincher. Character actor may seem a bit pompous with his Oriental sayings in early passages, but once he swings into more staccato dialog he's a faithful representation of the sleuth of old. Pointed direction by Norman Foster, trim scripting by a trio of writers and spirited acting that never goes overboard have made the Philip Wylie original, 'Death Makes a Decree,' an intriguing yarn. It is a vehicle bound to follow through at houses where this series has clicked previously. In many ways, the film proves one of the more interesting in the long string, possibly because the original murder mystery was virile. Reno is merely a background for an odd slaying which seems to be on the verge of solution at several junctures. Per usual, it envelops virtually every person in the original hotel bar party shown in one of the early sequences, as a newcomer femme arrives to seek a divorce. Another divorce-seeker is suddenly found murdered; and from then on it is strictly Charlie Chan's show as he constantly overcomes the stupid moves of the country sheriff. Besides Toler's clean-cut portrayal, supporting work is studded by fine performances. Cortez, as the Reno colony doctor, makes a stolid semi-menace character. Summerville, playing almost straight comedy, chips in with one of his better comical jobs as "Tombstone" Fletcher, the sheriff. Phyllis Brooks, cast as the hotel hostess, wears several revealing gowns and manages some worthy scenes, being carefully concealed as the main culprit in the plot. Sen Yung again is Charlie Chan's 'No. 2 son,' the ambitious amateur Sherlock. Pauline Moore, cast as new arrival in Reno who becomes heavily involved in the sleuth hunt at the outset, is capable enough. Eddie Collins makes a creditable taxi driver. Kay Linaker, Louis Henry (as the divorce-seeker slain early), Iris Wong and Robert Lowery head the remainder of a well chosen support. Director Foster manages a rather bulky cast with skill, without losing the main story thread at any juncture. Screenplay and dialog scripting pointed and original. ACCORDING TO THE CAB DRIVER, THE AMOUNT OF TIME NEEDED TO ESTABLISH RESIDENCY IN NEVADA TO GAIN A DIVORCE: "...six weeks." 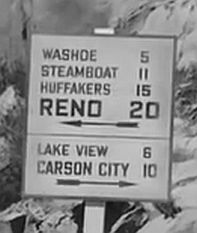 ACCORDING TO THE NIGHT CLERK, THE DIVERSIONS OFFERED TO GUESTS OF THE HOTEL SIERRA: "...sunrise trips to points of interest, alimony breakfasts, bridge luncheons..."
THE LOSING ROULETTE SPIN OF WALLY BURKE, AS CALLED OUT: "17 on the black." DR. AINSLEY'S STATED OFFICE HOURS: "...two to four." THE NEXT WINNING ROULETTE NUMBER AS CALLED OUT: "Number 25 on the red." THE TIME AS MRS. BENTLEY'S BODY WAS FOUND BY CHOY WONG: just after 12:30 a.m. THE DATE AND APPROXIMATE TIME OF THE MURDER OF JEANNE BENTLEY: Thursday, April 6, at about 12:30 a.m.
CHARLIE CHAN'S "EXPERIMENT" ACCORDING TO HIMSELF: "...must reproduce ellusive Easter rabbit for number one grandchild." THE EXPERIMENT THAT, ACCORDING TO JIMMY CHAN, HE WAS CONDUCTING: "...a new method to bring out fingerprints on cloth." UNEXPECTEDLY FIND SELF ON WAY TO RENO, NEVADA. WILL VISIT YOU BEFORE RETURN HOME." 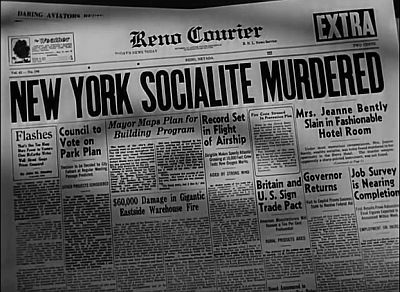 THE NAME GIVEN BY THE MAN BEING QUESTIONED BY THE RENO POLICE DESK SERGEANT: "Mr. Jones"
THE DESK SERGEANT'S INITIAL REFERENCE TO CHARLIE CHAN: (to Chan, regarding his name) "...I suppose yours is 'Smith.'" THE CHARGES READ AGAINST "MR. JONES" AND HIS COMPANION AT RENO POLICE HEADQUARTERS: "Disorderly conduct, drunk, heaving brick through window, hitting two police --"
THE CHARGES BROUGHT AGAINST JIMMY CHAN BY THE RENO POLICE: "Violation of ordinances 106, 109, 214A - and suspected of being nuts." ACCORDING TO MRS. RUSSELL, THE NAME OF THE MAN FROM WHOM JEANNE BENTLEY HAD HAD SOUGHT A DIVORSE: "A George Bentley from San Francisco." 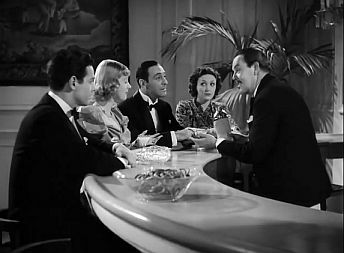 ACCORDING TO CHARLIE CHAN, THE TYPE OF ALCOHOLIC BEVERAGE THAT HE MIXED FOR THE ASSEMBLED SUSPECTS AT THE BAR OF THE HOTEL SIERRA: "Humble Hawaiian drink - very mild." THE RENO POLICE CHEMIST'S ANALYSIS OF THE MATERIALS FOUND ON JEANNE BENTLEY'S BOOTS: "Plenty of sand, some pollen from desert flowers, red clay, a suggestion of copper shavings, and...minute splinters from very old wood." POLICE CHIEF KING'S DETERMINATION OF THE LOCATION WHERE JEANNE BENTLEY COULD HAVE COME INTO CONTACT WITH THE ABOVE MATERIALS: "...up in the hills, about four miles off the main road...beyond Dead Man's Canyon." THE MINING OPERATION THAT WAS LOCATED NEAR TO THE GHOST TOWN MENTIONED BY POLICE CHIEF KING: "...the old Sully copper mines." 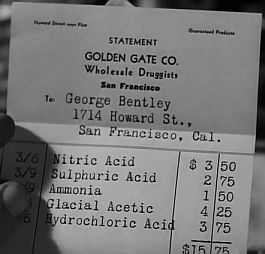 THE TIME, ACCORDING TO MRS. RUSSELL, AS SHE TOOK THE NITRIC ACID UP TO JEANNE BENTLEY'S ROOM INTENDING TO DISFIGURE HER: "After twelve (midnight)." 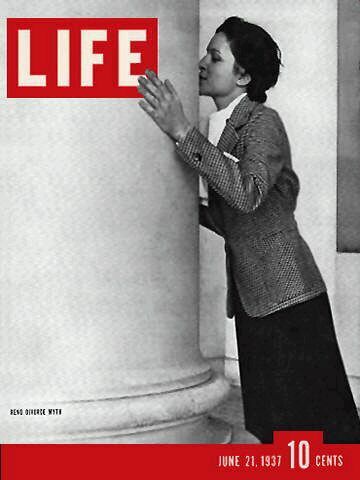 THE TIME, ACCORDING TO VIVIAN WELLS, AS DR. AINSLEY WAS IN JEANNE BENTLEY'S ROOM: "Dr. Ainsley came up here at ten minutes of ten and left at eleven o'clock." ACCORDING TO CHARLIE CHAN, THE ACTUAL CONTENTS OF THE HYPODERMIC THAT DR. AINSLEY ATTEMPTED TO USE ON MRS. RUSSELL: "...deadly poison..."
Dr. Ainsley: "Adrenaline. She's got to have a heart stimulant." Chief of Police King: "And how, I'll circulate it!" Wally Burke: "I'll stick to Bourbon." Dr. Ainsley: "...I thought he was broke." Tombstone Fletcher: "What's your name, bub?" Tombstone Fletcher: "...I've got him bulldogged!" Clipper (Pan American World Airways Clipper) - On November 11, 1935, Pan American Airway's China Clipper, a Martin M-130 flying boat, made the first transpacific airmail flight from San Francisco to Honolulu, Midway Island, Wake Island, Guam, and Manila in the Philippines. Curtis Whitman: "I've reserved seats on the Clipper for both of us..."
cocktails - Various mixed alcoholic drinks consisting usually of brandy, whiskey, vodka, or gin combined with fruit juices or other liquors and often served chilled. Charlie Chan in Reno - Tombstone Fletcher: "C'mon, he's probably serving cocktails again." Chief of Police King: "We'll show you the choicest collection of con men and crackpots you've ever seen." Cab Driver: "Of course, now I know she was just sittin' back there cooking up the murder." Tombstone Fletcher: "You're darn tootin' I'm hurt!" Jimmy Chan: "I haven't got it all doped out yet." get a load - To look at closely. 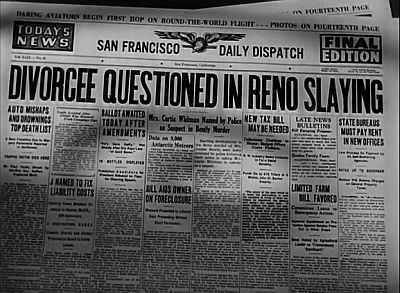 Charlie Chan in Reno - Tombstone Fletcher: "Wait'll you get a load of these papers." Wally Burke: "Take your hands off me you big hick!" hit-and-run - Fleeing the scene of an accident or injury one has caused, especially a vehicular accident, thereby attempting to evade being identified and held responsible. Con Man: "My pal got smacked by a hit-and-run." horsefeathers - (Interjection) Used to express disagreement or exasperation. hot (As used) - Very good or impressive. Vivian Wells: "...I must admit this doesn't look so hot." Curtis Whitman: "Oh, she's in a jam." liquid smoke - Smoke created for effect as in the making of films. A chemical called titanium tetrachloride is often used to produce smoke in movies. Charlie Chan: "Merely experiment with liquid smoke." Charlie Chan: "This is Number Two Son, masquerading as Lone Ranger." Vivian Wells: "...would he be stupid enough to hill his own meal ticket?" Jimmy Chan: "Nitric acid leaves a nasty burn." Police Officer: "And suspected of being nuts." Wally Burke: "This is the second time you've tried to pin this thing on me!" Jeanne Bentley: "Is it my fault that you're sap enough to trail me wherever I go?" shadow - An inseparable companion. Jeanne Bentley: "Where's your shadow?" the slip - (Slang) To escape the pursuit of. Charlie Chan in Reno - Tombstone Fletcher: "He can't give me the slip and get away with it." For a complete list from all films, please visit our Charlie Chan Glossary. bearing the caption, "Reno Divorce Wife." "Reno by 1910 was known as the divorce capital," William D. Rowley, a history professor at the University of Nevada, Reno, said. "A divorce capital with a residency requirement willing to be shortened to beat out the competition and bring in the famous divorces Reno has become known for." "From the civil war on, divorce law in the nation started to tighten up. I suppose in reaction to a greater demand to protect Victorian values," Rowley said. However, the divorce law in Nevada did not change from the law in existence during territorial time until after New York lawyers discovered Nevada quickie divorce in 1898. In 1913 the progressive movement and morality reform managed to persuade state representatives to change what had been a six-month residency requirement to a one-year requirement. This put Nevada's quickie divorce at the year-long process many other states were at. The year requirement did not last long with lobbying from business owners and representatives pushing for the residency requirement to be back at six months. In 1915 Nevada's business owners got their wish. The income brought into Nevada through the divorce business caused a push in 1927 for the Nevada residency to be lowered to three months, and in 1931 the requirement went down to six weeks. The results were amazing. According to the Reno Divorce Racket, a special focus magazine on the divorce trade, the first month after Nevada's six-week requirement passed 517 divorce suits were filed and 331 decrees handed down. In 1926 the Nevada courts granted 1,021 divorces. After the lower residency requirement in 1927 the figure almost doubled to 1,953. The 1930 divorces numbered 2,609 and in 1931 the number of divorces almost doubled at 5,260. By 1940 Nevada accounted for 49 out of 1000 divorces in the United States. Attorney fees alone brought in $100,000 a month. That does not even consider the hotels, casinos, restaurants and merchants. 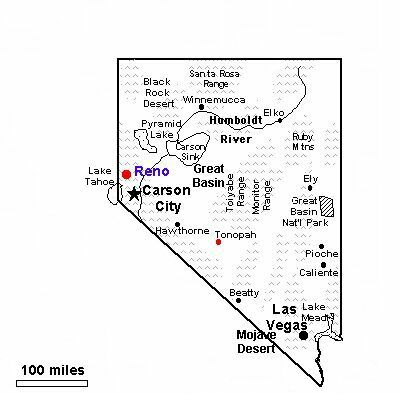 An estimated $5 million annually was brought to Nevada by the divorce trade, according to Richard Lilliard in his book Desert Challenge: An Interpretation of Nevada. Aside from the money brought to Nevada by the divorce racket, Nevada also gained a notoriety for the famous divorces in Reno. Mary Pickford, Corneluis Vanderbilt Jr., Jack Dempsey, Estelle Taylor, Earl Russel, and Laura B. Corey name just a few of the famous divorces. In Las Vegas, Eddie Fisher, a record star, divorced to marry Elizabeth Taylor, then a young actress noted as one of the most beautiful women in the world. "Reno no longer plays a role as the divorce capital," Rowley said. However, the legend lives on. FROM: "Reno Divorce History," an article by Amber Martin, University of Nevada, Reno. Where is Tonopah, and how far did Sheriff "Tombstone" Fletcher have to drive to get there? Hopefully this map will help with these questions.